At Smile Dentistry, every member of our staff is friendly, professional, and experienced. We are committed to providing each of our San Jose patients with personalized care and exceptional service. We strive to maximize the one-on-one time with each patient and to completely answer any questions they have about their treatment. Our goal is to ensure a comfortable and relaxing experience for every patient. Our San Jose dental professionals are dedicated to providing quality, advanced care to our family of patients. We endeavor to provide comprehensive dental examinations, a complete selection of cosmetic services, and the best possible restorative oral health care in San Jose. Make an appointment today or come in to meet our friendly San Jose staff. 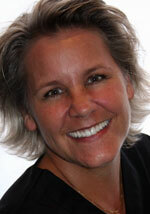 For 28 years, Lynda has served dental patients, and she has worked with our office for 18 years. She graduated from San Jose State University with a bachelor's degree in nursing. Working with patients, answering questions, and watching Dr. Rottjakob's practice grow are Lynda's favorite aspects of her job. Lynda is a mother of four children, all of whom are in the military. She also volunteers with the Big Sister Organization and in her free time, she enjoys horseback riding, walking, or riding her bike. Patti graduated with a bachelor's degree from Loyola Marymount University, and she has worked alongside Dr. Rottjakob for 20 years. Patti is a member of the Assistance League of San Jose, and volunteers in the community. She enjoys living and working in San Jose, where her children and family have attended the same school and church as many of Dr. Rottjakob's patients. 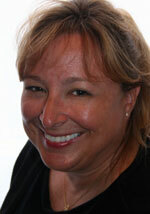 After hours, Patti enjoys tennis, travel, skiing, reading, and being married to Dr. Rottjakob! Laurie graduated with an associate's degree in dental hygiene and honors from Foothill College and an associate's in science from West Valley College. She first came to work for Dr. Rottjakob in 1988, but took a 5-year hiatus and has returned. Working with patients and being part of a dedicated team make Laurie feel as if her work is fulfilling. After hours, she enjoys time with her three sons, and she also likes to sew or read a good book. Patricia received her associate's degree in biology with honors, then continued to earn an associate's in dental hygiene. 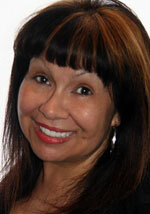 She has worked with patients for 19 years and been on our staff for 20 years. In her time with us, she has enjoyed treating families with up to three generations of patients. Patricia was raised in the Bay area. When Trish isn't lending a hand in creating healthy smiles, she likes music, hiking, camping, and outdoor activities. She also likes spending time with her pets, including birds, fish, and a reptile.